Finkelstein, Maxwell W.. "Riding Mountain National Park". The Canadian Encyclopedia, 25 January 2018, Historica Canada. 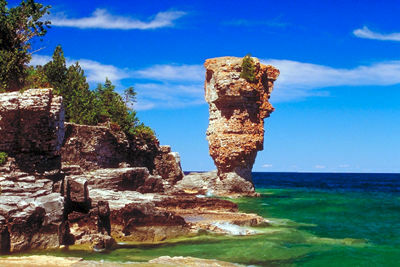 https://www.thecanadianencyclopedia.ca/en/article/riding-mountain-national-park. Accessed 24 April 2019. Natural History The park is a rolling landscape of mixed forests and grasslands dotted with lakes, streams and bogs, an "island" of green rising out of a sea of farmland. 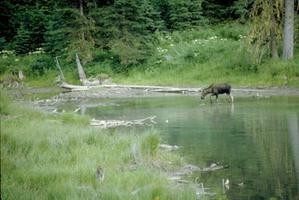 In Riding Mountain National Park, Manitoba (Corel Professional Photos). Riding Mountain National Park (est 1929, 2973.1 km2) is located 265 km northwest of Winnipeg, perched almost 500 m above the prairie on the Manitoba Escarpment. The park is the "core protected area" of Riding Mountain Biosphere Reserve. The park is a rolling landscape of mixed forests and grasslands dotted with lakes, streams and bogs, an "island" of green rising out of a sea of farmland. In many ways, the park is a blend of Canada's North, West and East with elements of the boreal forest, prairie and mixed deciduous woods present. 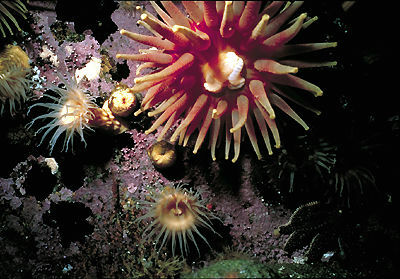 Within its varied habitats, 233 species of birds, 60 kinds of mammals and 10 species of reptiles and amphibians thrive. Elk, moose, wolf, beaver, black bear, white-tailed deer and a small free-roaming herd of bison are the park's largest denizens. The area was inhabited by native people from at least 6000 years ago. More recently the Assiniboine and later the Ojibway fished and hunted in the area. Today there are 3 Indian reserves south of the park's boundaries. By 1800 the highland was surrounded by fur-trading posts. Later, local settlers used the park's resources for timber, cattle grazing, hunting and recreation. Riding Mountain provides facilities for camping and some 400 km of hiking and riding trails. 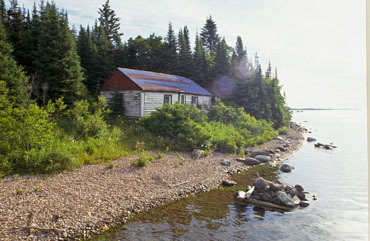 A marina and the main campsite are at the townsite of Wasagaming on Clear Lake.